Security doors that combine effective security with great looks are a priority for many homeowners across the Gold Coast. Unfortunately, very few security doors offer this and mass produced products are often built to a low standard of quality and can have your home feeling like a prison. There is a distinct solution to this however, and that is a wrought iron security door. 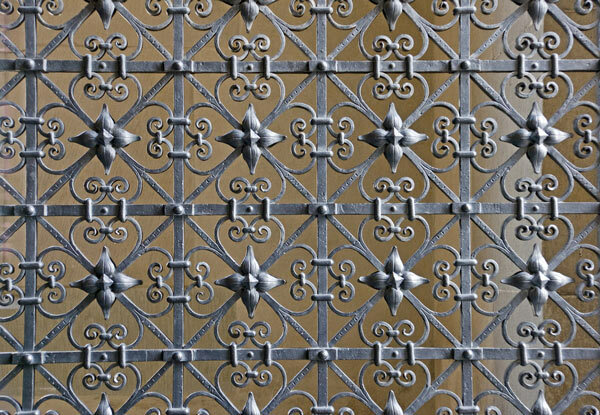 Wrought iron has a number of properties that make it ideal for use in security doors and these properties include strength, malleability and durability. 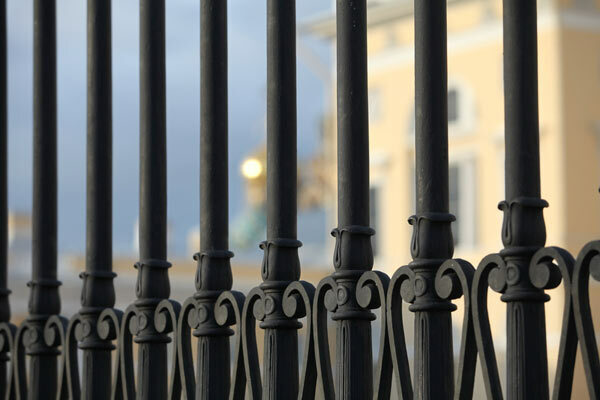 Wrought iron is extremely strong and this means that it can stand up to high impacts and pressure; you can rest assured that a wrought iron security installation will deter or stop any potential intruders. The strength of a wrought iron security door is complemented by its durability. Wrought iron can stand up to all weather conditions – even the harsh climate of the Gold Coast – meaning that it can be fitted to the outside of your house without rusting or corroding. 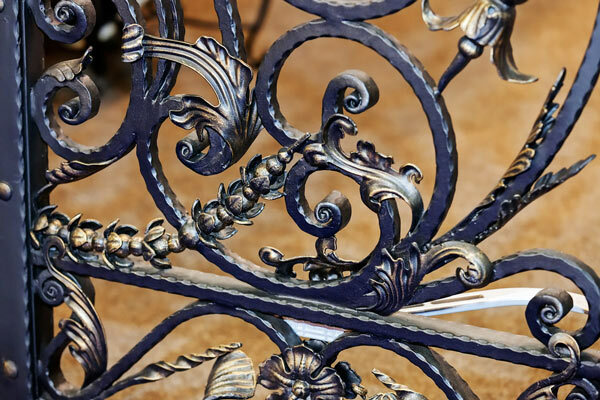 Additionally, wrought iron offers a high degree of malleability, so it can be crafted into intricate and unique designs that will be of great utility to the design appeal of your home. Here at Dean Wilson Iron, wrought iron security doors are our speciality and we can customise our security solutions to meet the needs of our clients individually. We understand that everyone’s needs and preferences are unique and that is why we tailor-make our security solutions for each of our clients. Our foremost priority is meeting your needs and this includes both your practical security needs and the visual needs of your home. We work with you to establish the perfect design that combines the timeless elegance of wrought iron with its unrivalled strength and durability to create a security barrier that is second to none. Our team of expert blacksmiths have a wealth of experience that enables them to create a wrought iron security door that is perfectly suited to your applications. 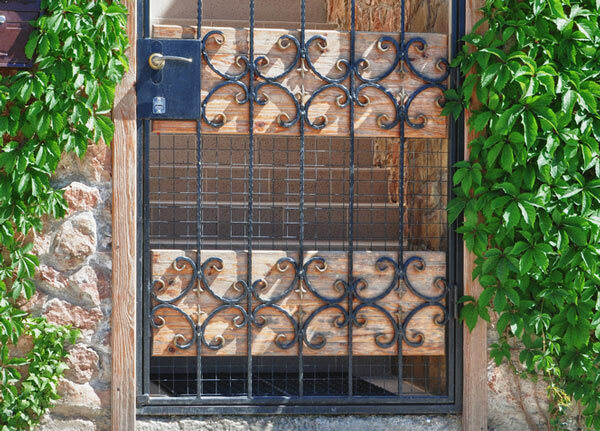 Security doors and grilles can have a significant impact on your home’s ambience and design appeal, which is why it is important to choose the best solution for you. At Dean Wilson Iron, we understand that you want the benefits of uncompromising security, without any negative impact on the look and feel of your home. Wrought iron security doors or grilles are the perfect solution to your security needs as they are incredibly versatile and can add an air of grandeur to your home, whilst offering protection that is unmatched. The timeless elegance of wrought iron gives it a certain prestige that cannot be replicated by other materials and it can be used for security installations in all situations. No job is too big or too small – our craftsmen can create wrought iron security solutions to suit anything from a classically designed brick home, to a more contemporary Queenslander; the options are endless. We also offer a number of installation options and we can include flyscreens on your security door or grille, which means that you can open up your house during the hotter months of the year and maximise the breeze without having to worry about uninvited guests. At Dean Wilson Iron, we take pride in our work and handcraft each security installation to an impeccable standard of quality; our products can withstand the Gold Coast’s climate without rusting, which ensures that they will remain strong and provide you with excellent security for decades. Our team has a wealth of experience working with wrought iron and they are well positioned to make your perfect design a reality. We believe that every one of our clients deserve the upmost in security for their home, without having to compromise on looks or visual appeal. That is why we work closely with you to explore your options and generate the perfect design to complement the features of your home and reflect your own personal preferences. Extremely strong and robust construction for the upmost in security. Intricate and unique designs that make for exceptional aesthetic appeal. Customised to suit your needs perfectly. Immaculately finished for maximum durability – even in the harsh climate of the Gold Coast. Throughout our many years of experience in the industry, we have refined our service approach so as to ensure that all of our clients’ needs are accounted for. Our foremost priority is you and to deliver the perfect security solution for you and your home, we like to engage with you and discuss your needs in detail. Your input is what allows us to create the most unique and intricate designs on the Gold Coast. We like to explore your design concepts thoroughly and develop an approach to include your ideal design in you personalised wrought iron creation. Our service process begins with your initial enquiry, which is followed by a detailed discussion of your needs. During this discussion, we invite you to outline all the details of your ideal security door or grille and present us with an overview of your home and its design features so we can work with you to generate the ideal design. If you already have a design concept that you would like to explore, then we welcome the opportunity to discuss it with you during this initial stage. Once we have some basic measurements and design information, we can provide you with an approximate quote so you are aware of the costs that are likely to be involved. Following the initial quote and discussion, we can assess your site in further detail and get some precise measurements upon which to base our final design. Our number one priority is you and because of this, we will continue working with you to establish the final design and ensure that it is perfectly suited to your personal preferences and the design features of your home. We incorporate our knowledge and expertise with your personal style to develop a design that fulfils its practical purpose as a sturdy and robust security barrier, whilst reflecting your unique taste in design and the features of your home. When we have completed your security door or grille in line with your standards and our self-imposed standard of quality, it will be ready for installation. Our team has been working with wrought iron for many years and we have all the experience, expertise and equipment necessary to install your security barrier in a way that maximises its strength at no expense to its finish or visual appeal. We know that the strength of your security door or grille depends significantly upon its installation and we are mindful of this when we undertake each job. If you feel that mass-produced, generic looking security installations are simply not compatible with your home, then contact us today. Our extensive range of services are aimed at providing you with a unique and personalised security solution that combines quality and appealing designs to ensure that your home remains secure, while looking great. You can see evidence of our work throughout the Gold Coast on our Facebook page, or you can call us and speak with one of our expert team members today. #1 I want security but I cannot find a door or grille that I like. Can you help? Here at Dean Wilson Iron, we understand that every one is different and is sure to have a unique set of requirements. This is why we work with you to develop a design that suits your personal preferences and ensures the upmost in strength, durability and security. Our experts have a wealth of knowledge and experience that places them in a good position to provide you with the best, most attractive security solutions. #2 Do any of your security doors or grilles include flyscreens? We offer a range of installation options with all of our security doors and we can easily fit flyscreen to your door, without compromising its looks or functionality. We can incorporate fibreglass flyscreen or Crimsafe mesh in the design of your security door and we favour these types of mesh, as they are more durable than their regular nylon counterpart. #3 Are you doors very secure? Here at Dean Wilson Iron, we strive to deliver the most effective security doors on the Gold Coast. To do this, we handcraft each of our security doors from solid wrought iron, which ensures that your security door will be unrivalled in strength and durability, whilst remain visually appealing. With a Dean Wilson Iron security door, you can rest assured that you and your home are well protected against any unwanted guests. #4 Will my security door need any maintenance? Given the exceptional durability of wrought iron, it is unlikely that your security door will need a great deal of maintenance, however we do recommend a gentle wash with some soapy water if the door becomes visibly dirty. This will ensure that your security door maintains its immaculate finish and lasts you for decades to come.